Meizu 16X Full Specifications Appear on TENAA - Playfuldroid! Yesterday, the front and rear images of a new Meizu phone with a model number of Meizu M872Q was spotted on TENAA. 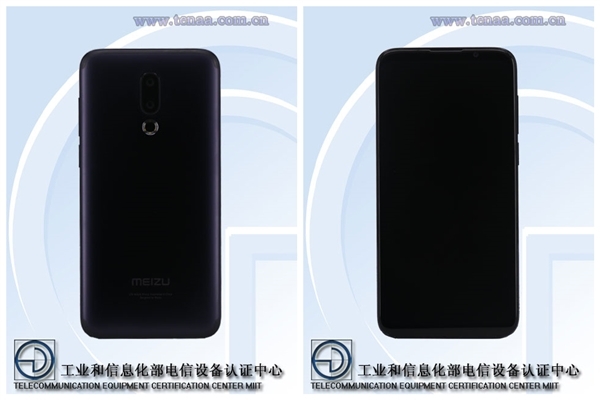 Since the Meizu M882Q and M892Q model numbers belong to the Meizu 16 and 16 Plus smartphones that were announced earlier in this month, it appears that the Meizu M872Q could be the Meizu 16. The Meizu M872Q TENAA listing has now been updated with full specifications. According to the TENAA listing of the Meizu M872Q, the handset measures 151.2 x 73.6 x 7.5mm and it weighs 154 grams. The color variants of the Meizu M872Q are matte black, ceramic white and frosted gold. The device is equipped with Super AMOLED screen of 6 inches that carries support for Full HD+ resolution of 1080 x 2160 pixels. The handset receives power from 3,000mAh battery. The Meizu M872Q features 2.2 GHz octa-core processor which suggests that it could be fueled by Snapdragon 710. The device is running on Android 8.1 Oreo. The SoC is coupled with 6 GB of RAM and it has an inbuilt storage of 64 GB. It does not feature a microSD card slot. For photography, it features 12-megapixel + 20-megapixel dual camera and a frontal shooter of 20-megapixel. The handset is also equipped with screen fingerprint scanner and fast charging. The Meizu 16X is slated to go official in September, but the exact date is not known. Meizu CEO Jack Wong has confirmed that the phone will be also coming in a higher model featuring 128 GB of storage and 8 GB of RAM. The handset is expected to be priced between 2,000 Yuan and 2,500 Yuan.